Leslie Wunderman better known by her recording and stage names Les Lee and Taylor Dayne, is an American pop and freestyle music singer-songwriter and actress. In late 1987, she scored her first major hit when her debut single “Tell It to My Heart” reached No. 7 on the Hot 100. She then went on to have a string of hits in the late 1980s and early 1990s, including the No. 1 Billboard hit “Love Will Lead You Back”. Overall, she has had eighteen individual hit songs reach the top ten in Billboard magazine. These include most recently, the 2011 American and international hit “Floor on Fire” and the 2008 song “Beautiful”, which reached the top spot on the Billboard Hot Dance Club Play chart. She has also topped the U.S. Billboard Hot Dance Club Play chart three times. In December 2016, Billboard magazine ranked her as the 28th most successful dance artist of all-time. 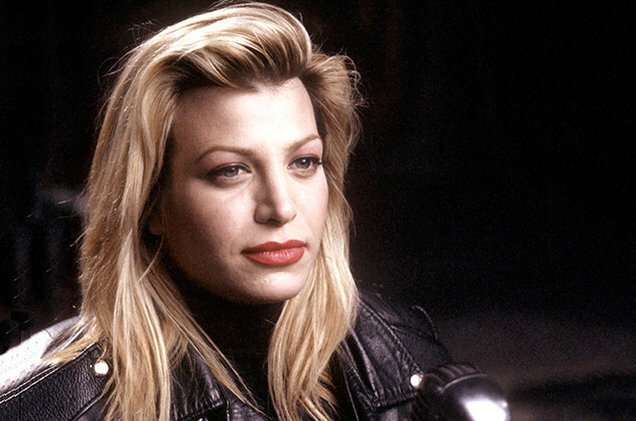 Signed to Arista Records as Taylor Dayne, her first song to crack the top ten was the dance-pop hit “Tell It to My Heart” in late 1987. The song was an instant smash worldwide, peaking in the top five of most major markets worldwide, and achieving a peak of number one in many countries, including West Germany. Six more U.S. top-ten hits followed including “Prove Your Love”, “I’ll Always Love You”, “Don’t Rush Me”, “With Every Beat of My Heart”, “Love Will Lead You Back” and “I’ll Be Your Shelter”. These were followed by the No. 12 hit “Heart of Stone”. In the United States, she achieved three gold singles, with “Tell It to My Heart”, “I’ll Always Love You,” and “Love Will Lead You Back.” “I’ll Always Love You,” a change-of-pace ballad compared to Dayne’s earlier releases, was her breakout hit on the Adult Contemporary charts in 1988 and paved the way for future uptempo dance tracks such as “Don’t Rush Me” (1988) and “With Every Beat Of My Heart” (1989) to gain acceptance at Adult Contemporary radio. In 1990, “Love Will Lead You Back”, a Diane Warren composition, peaked at No. 1 on both the Billboard Hot 100 and the Hot Adult Contemporary Tracks chart. The string of hits from her first two albums, Tell It to My Heart (1988) and Can’t Fight Fate (1989), would prove to be the peak of her music career. Although she went on to release two more albums in the 1990s, she had only one more U.S. Top 40 hit, her 1993 cover of Barry White’ 1974 hit “Can’t Get Enough of Your Love” (from her 1993 album Soul Dancing) which reached No. 2 in the Aria Charts in Australia but only No. 20 in the U.S. Together with Arthur Baker and Fred Zarr, Dayne wrote “Whatever You Want” for Tina Turner’s 1996 album Wildest Dreams. Dayne later recorded and released the song herself in 1998 as a single from her album Naked Without You. That album failed to chart, but Dayne continued to have hits on the dance charts into the 2000s.